Shawn Greenlee (Associate Professor, Experimental and Foundation Studies) will be performing with his musical group, Landed, at the Hammer Museum in Los Angeles for ALL THE INSTRUMENTS AGREE: an exhibition or a concert, September 26-27, 2015. Landed will also perform in San Francisco at The Hemlock on September 25. 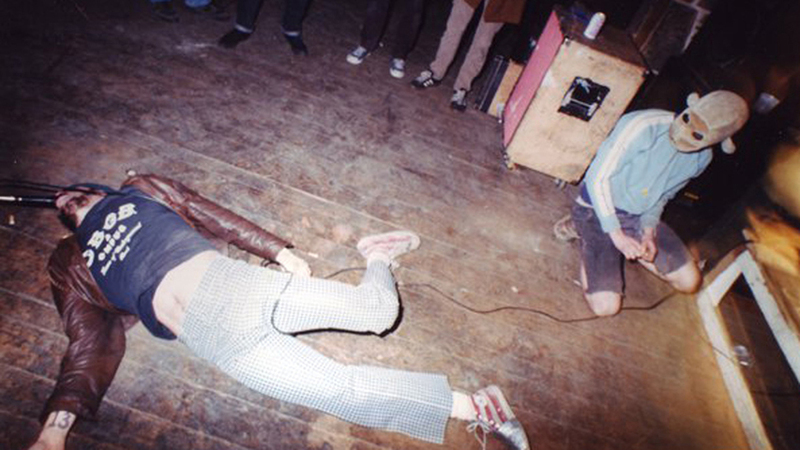 Known for its deconstructed rock, rhythmic noise, and physically intense live performances, Landed has operated as a performance collective since 1997. Now based in Providence and LA, founding members Shawn Greenlee, Joel Kyack (’95 Printmaking) and Dan St. Jacques will be joined by Bjourn Copeland (’98 Sculpture), Matthew Johnson, and Rick Pelletier. Landed has released material with Load Records, Vermiform Records, and Corleone Records, among others. ALL THE INSTRUMENTS AGREE: an exhibition or a concert is a two-day program of back-to-back live performances by over 25 local, national, and international sound artists, music collectives, art bands, and visual artists whose practices extend to the production of sound. Conceived as an exhibition in the form of a concert, the continuous program of performances will alternate between two outdoor stages in the Hammer courtyard from noon to 10 p.m. each day. Spanning a range of influences, genres, and styles, participating artists include industrial music pioneer Genesis Breyer P-Orridge; Cairo-based artist Hassan Khan, whose live-mixed multi-track work Taraban will be performed for the first time in the U.S.; and GLITTERBUST, a new project by Kim Gordon and Alex Knost. ALL THE INSTRUMENTS AGREE brings together a variety of disparate approaches to underscore the unruliness, temporality, and communal nature of musical and sonic performance as an art form that is inherently at odds with the conventions of exhibition and display while remaining essential to the production and social sphere of contemporary art.